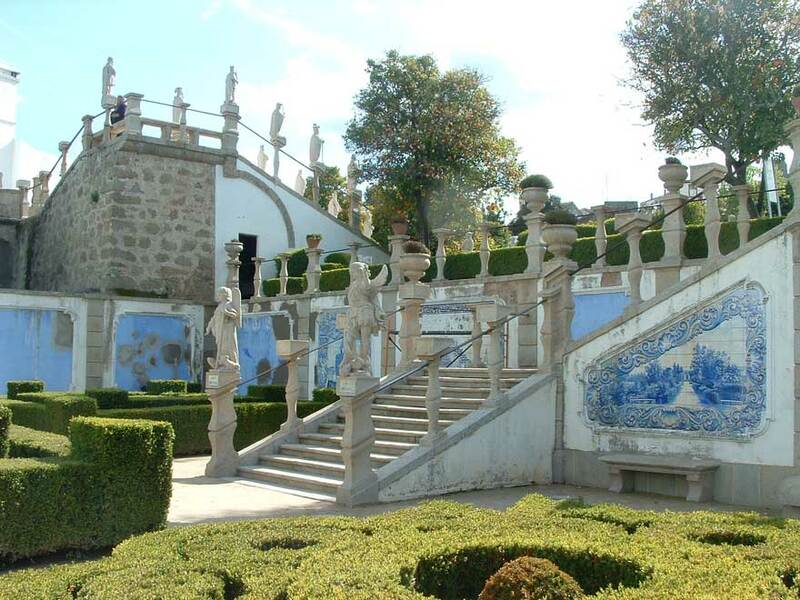 Next to the gardens is a museum, with a great collection of the colchas for which Castelo Branco is justly famous. The colchas, silk-embroidered linen bedspreads and coverlets, were inspired by similar items brought back from India and China by early Portuguese explorers. Colchas feature symblic designs (two birds for lovers, trees for families...) and quickly became a sign of wealth and prestige. In fact they still are; a small item will set you back a thousand euros; a bedspread could cost upwards of several thousand. Little was known of Castelo Branco's early history apart from a document dated 1182, which mentions the donation of the land on which the town now stands to the Knights Templar. The settlement got it's autonomy in 1213 and Pope Innocent II gave it the name of Castelobranco in 1215. Castelo Branco became a city in 1771. Today's city has an attractive centre with generous parks, wide boulevards and bustling squares. It lies on the Beira Baixa railway line, which runs to Lisbon, and is close to the famous fortress village of Monsanto ('Portugal's most Portuguese village') and the Serra da Estrela, Portugal's highest mountain range and a popular national park.